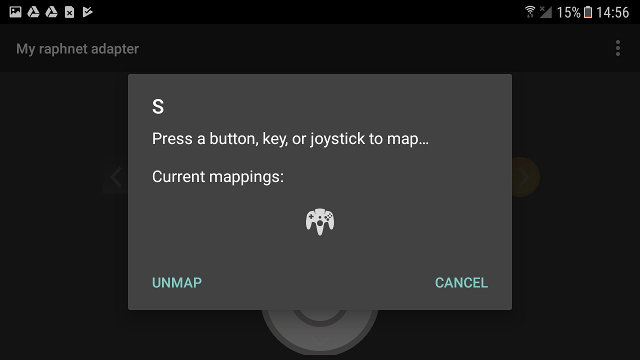 Mupen64Plus FZ is a popular N64 emulator for Android. Our N64 to USB adapter works very well with this emulator. And so does our Gamecube/N64 to USB adapter. Update! 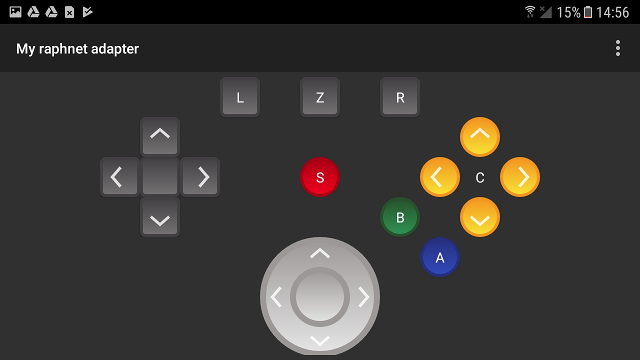 Since the February 11 update, Mupen64Plus FZ supports the raw controller access using raphnet adapters. Use N64 Rumble packs and Memory Paks as if on a real N64! 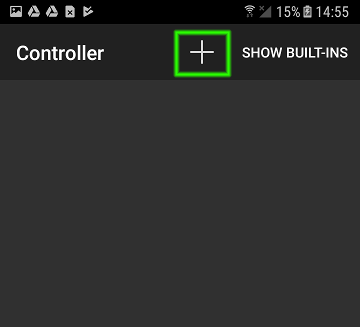 Enabling this feature is easy. See below. When the above option is enabled, you do not need to worry about profiles, stick calibration and so on. Everything just works like on a real system. (Except some occasional slowdowns when accessing memory cards). This is currently a limitation of the >raphnetraw plugin used by the emulator. 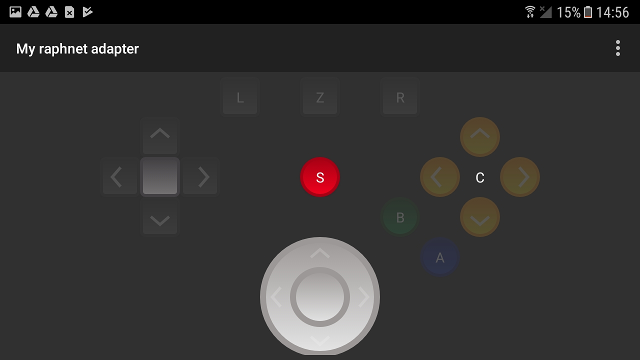 If you have a Gamecube controller or a non-raphnet adapter, the rest of this guide still applies. Otherwise, that's it! You will have to assign a name to the profile. For instance, you could name it 'My raphnet adapter'. Now the profile is created an ready to be selected for use. Hit the return button on your device to go back to the menu. 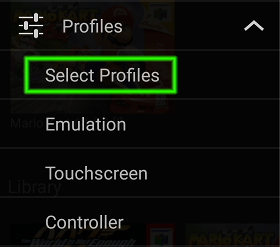 The Select Profiles menu comes up. 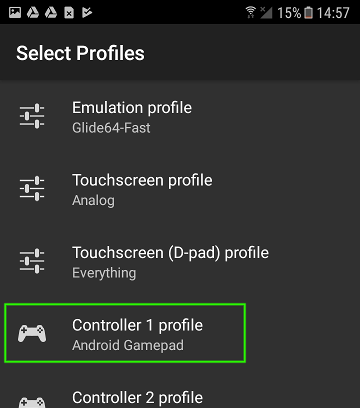 We can see in the screenshot below that Controller 1 is assigned the Android Gamepad profile. This is not what we want, we need to change it to the profile we just created (My raphnet adapter). 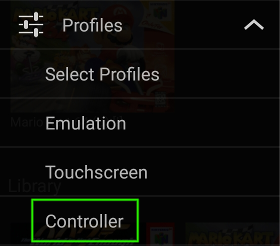 Push on Controller 1 profile to open the profile selection dialog. 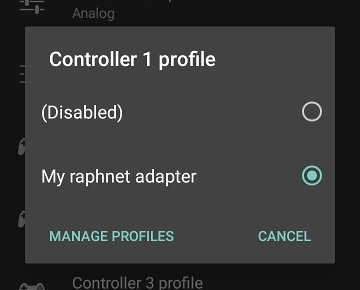 Then select 'My raphnet adapter'. That's it, you're good to go. Well almost (see below).